(Newser) – Two months after an unsuccessful suicide attempt, Chelsea Manning is again pleading for help, reports NBC News, this time in the form of a hunger strike she began at the all-male prison at Fort Leavenworth on Saturday. "I need help. I am not getting any. 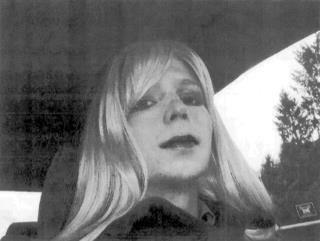 I have asked for help time and time again (for gender dysphoria) for six years and through five separate confinement locations," Manning said in a statement, adding that those requests have "only been ignored, delayed, mocked, given trinkets and lip service by the prison, the military, and this administration." good now they can save money on food! if all goes well they may save money on the cell to. It seems He just needs a lot of attention. Is that the reason for the classified info leaks, rather than some political viewpoint? And yes, I said He. Just taking some hormone injections and deciding to be called "she" isn't good enough in my book. Have the surgery and I'll be happy to call him "her", just like Jenner. Until then, you're just a cross-dresser in my book. Note that I'm not a hater, I'm a realist. Just saying "I am now a woman" doesn't make it so IMO. There'e a little more to it, isn't there ladies?